Are your severance agreements up to snuff? Here we will look at the answers to two questions about severance agreements. First, once an employee signs and takes the money, that’s the end of that, right? 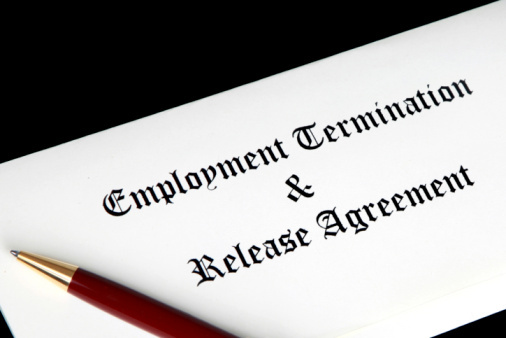 Second, should you always give severance pay to an employee that is getting fired or laid off? David B. Monks, an Attorney with Fisher & Phillips, LLP. answers these questions. Question: If the employee signs the severance agreement and takes the money, do I have anything to worry about? Answer: In most cases, no. But sometimes a discharged employee—often after later speaking with an attorney—has “buyer’s remorse” and decides that the money they received was not enough. If they sue and convince the court that they did not really understand what they were signing or that they felt coerced into signing, then the court can invalidate the release agreement and let the lawsuit proceed. So, the content of the agreement and the manner in which the offer and agreement are conveyed to the departing employee are important issues. Question: Should we always give severance pay to an employee who we are firing or laying off? Answer: No. A severance agreement is a risk management tool. If you believe that there is very little chance that the employee will assert legal claims, then why give them money? On the other hand, if you give money because you want to help the employee’s transition to their next job, then get something back for it—a release agreement—just in case they speak with a lawyer and later try to pressure you into a settlement for claims that have no merit.